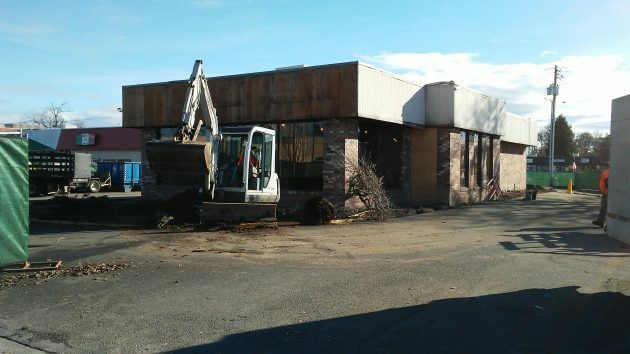 Moving dirt on Monday outside the former — and future — Wendy’s on Pacific Boulevard in Albany. 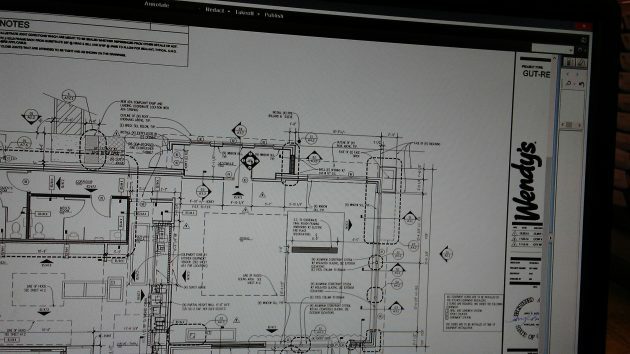 The question came by email: “I noticed the construction at the former Wendy’s. Is the Wendy’s just being remodeled or is something replacing it?” This jogged the Answer Man to get going. When I first reported in October on the building permit application at the site of the shuttered fast-food joint, I had assumed it would be Wendy’s again but had failed to nail that down. Notice what it says along the right-hand edge. So there’s the definitive answer: A new Wendy’s it will be. On the construction site, at 1560 Pacific Blvd. S.E., work was well underway inside and outside the building, which is getting a complete makeover by a contractor based in Boise. The owner of the property — now as when the old restaurant was still open — is a company based in Rancho Santa Fe, Calif. The building department values the remodeling at about $556,000, not counting an addition at the back to hold a freezer and cooler. Careful, lest the ADH accuses you of “unfortunately leaking” news they couldn’t get to first! Ha, ADH will probably report that it is going to be a Wendys two weeks after the grand opening. And I am going to one up you Hasso, I like getting the bowl of chili with a baked potato.